The Lionheart who stole a Nazi – and the heart of every woman: Max Hastings pays tribute to one of Britain’s last war heroes. First published in the Daily Mail, 11 June 2011. One of the last authentic heroes of World War II is gone. Sir Patrick Leigh Fermor, a legend to his generation, died early yesterday in Worcestershire at the age of 96. Paddy’, as he was universally known and beloved, spent two years as a British agent of the Special Operations Executive (SOE) in Crete. His most celebrated exploit, in April 1944, was to kidnap the commander of the German 22nd Division, General Heinrich Kreipe, a story romantically portrayed in the 1957 movie Ill Met By Moonlight, with Paddy played by Dirk Bogarde. The SOE team and their Cretan guerrilla companions marched the general, evading furious German pursuit, to a beach from which the Royal Navy spirited them to Egypt. Paddy received a richly-deserved DSO, but the Cretan experience was only one chapter in a lifetime devoted to the pursuit of adventure, learning and romance. After the war, a succession of wonderful books about far-flung places made him the most famous travel writer of his generation. Awesomely good-looking as a young man, he spoke half-a-dozen languages fluently and had a smattering of several more. His wit, zest for life and joy in companionship won him a legion of friends, some very grand — his comic correspondence with Debo, Duchess of Devonshire was published as a book last year — and others entirely humble. He was loved for what he was as much as for what he did, though heaven knows, what he did was remarkable enough. Paddy was born in 1915, the son of a distinguished geologist who spent most of his life in India, leaving his son to his own devices in England for much of his childhood. An unsuccessful schoolboy, he was eventually expelled from the King’s School, Canterbury, allegedly after being caught holding hands with a greengrocer’s daughter. At the age of 18, in December 1933, he set out on a remarkable quest, to walk across Europe from the Hook of Holland to Constantinople, carrying only a few clothes and the Oxford Book Of English Verse in his rucksack. He slept often in barns and shepherds’ huts, but a few letters of introduction to German noblemen enabled him to start dossing down in mansions and castles. Successive hosts ‘passed me on to others like a parcel’, as he put it to me many years later. Those were golden days, when the European aristocracy had plentiful money and leisure. They were captivated by his boundless curiosity about their countries, languages and people. He reached Constantinople at last on New Year’s Day 1935, then plunged into adventures in Greece, some of them as a spectator of a minor civil war. He told some of the story of his great journey in two books published 40 years later, A Time Of Gifts and Between The Woods And The Water, which became instant classics. In Athens, he met a Romanian princess named Balasha Cantacuzene. They fell in love and spent the next two years together. W hen the war came, he joined the Irish Guards. His command of languages caused him to be sent first to serve as a liaison officer in the doomed 1941 Greek campaign, then transferred to SOE, with which he spent the rest of the conflict. Paddy brought the spirit of Lord Byron, British hero of the 19th century struggle for Greek independence, to the war in Crete. He loved the Cretans, revelled in the romance of life in their mountains, often disguised in their traditional dress. ‘He was a born warrior,’ said his friend, the writer Lord Kinross. Captain Billy Moss, who afterwards wrote a best-selling account of the episode, was Paddy’s companion in the venture. The two British officers disguised themselves as German NCOs — which required Paddy regretfully to shave off his moustache. On the night of April 26, 1944, they flagged down the general’s car in darkness as he drove to his residence at the Villa Ariadne south of Heraklion. ‘Ist dies das General’s wagen?’ demanded Paddy. ‘Ja, ja,’ said a voice from inside. Moss quickly coshed the driver and took the steering wheel. Paddy put on the general’s hat and clambered into the front of the big Opel, while three guerrillas sat on the semi-conscious old general in the back. During the hours that followed, they drove unchecked past 22 German control posts and the centre of Heraklion. Only when safely in open country did they abandon the car and start walking. Three weeks later, after an epic march across the mountains and many hair’s-breadth escapes, they found themselves safely aboard a British warship, bound for Alexandria, and their kidnapped German general was handed over for interrogation. Paddy succumbed to rheumatic fever, but this did not prevent him from returning to Crete by parachute for a further mission, followed by more adventures at the end of the war in North-West Europe. His love affair with Greece persisted. In the 1950s, he wrote two fine travel books about the country, Mani and Roumeli, and built a heavenly house at Karadamyli on the coast of the Peloponnese with his wife, the photographer Joan Eyres-Monsell, where they lived for most of the year thereafter for the rest of their lives. He became the Greeks’ favourite Englishman, an honorary citizen of Heraklion. 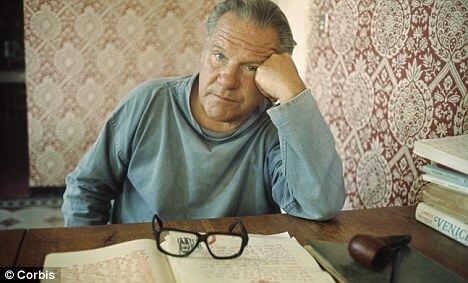 The writer Lawrence Durrell memorably described how Paddy once visited his villa in Cyprus: ‘After a splendid dinner by the fire he starts singing — songs of Crete, Athens, Macedonia. When I go out to refill the ouzo bottle, I find the street completely filled with people listening in utter silence and darkness. Everyone seems struck dumb. I first met Paddy as a very young man, when I listened enthralled to him holding forth to a dinner party with quotations from Horace, snatches of Romanian, Bulgarian and Greek, both ancient and modern. I read avidly his travel books, and later reckoned it a privilege to get to know him a little. He remained until his death a model of the 1940s British gentleman abroad: impeccably dressed, effortlessly courteous and literate, tirelessly funny. He was one of those men who brought joy to every company he joined in war and peace. He was completely unpolitical, and though indifferent to money was lucky enough to live among the rich with no need to care about tomorrow. He devoted himself to the fun and fascination of exotic people and places, and wrote like an angel. In 1991 he became one of the few men ever to refuse a knighthood, though he belatedly accepted one in 2004: more than a hero of the war, he was a British hero for our times. This entry was posted in Paddy in the News, Paddy's Death and tagged Max Hastings, Patrick Leigh Fermor on June 11, 2011 by proverbs6to10. I think that Paddy Leigh Fermor’s visits on Rhodes, on Cyprus, and in France brought Lawrence Durrell some of his happiest days and nights. “In that warm light the faces of my friends lived and glowed, giving back in conversation the colors of the burning wood, borrowing the heat to repay it in the companionable innocence of unpremeditated talk[. . . .] Patrick Leigh Fermor and the Corn Goddess, who always arrive when I am on an island, unannounced and whose luggage has always been left at the airport (“But we’ve brought the wine — the most important thing”). Are there any audio tapes of Paddy singing those Greek songs, Tom? Those would be worth finding.